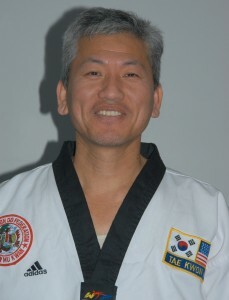 Master C. S. Han came to America in 1998 with the express wish to be able to teach martial arts to children and adults. It had always been a dream of his to educate people in his traditional martial arts in America. He began his training at 8 years old and achieved his black belt when he was 11. In Korea it is traditional for the young students to begin teaching at this time and so his Master put him to work. He has been instructing since that time, but had to stop to begin a career. In 1997 he was invited to come to the United States to view several dojangs in the area and it was at this point he decided he would return and begin his teaching in the United States. He had already achieved his 5th degree at this point allowing him to be considered a Master. In 2008 he was voted in as the ATU Michigan vice president, and in 2009 he decided to further his education and received his 6th dan. He has been married for 17 years and has three children.